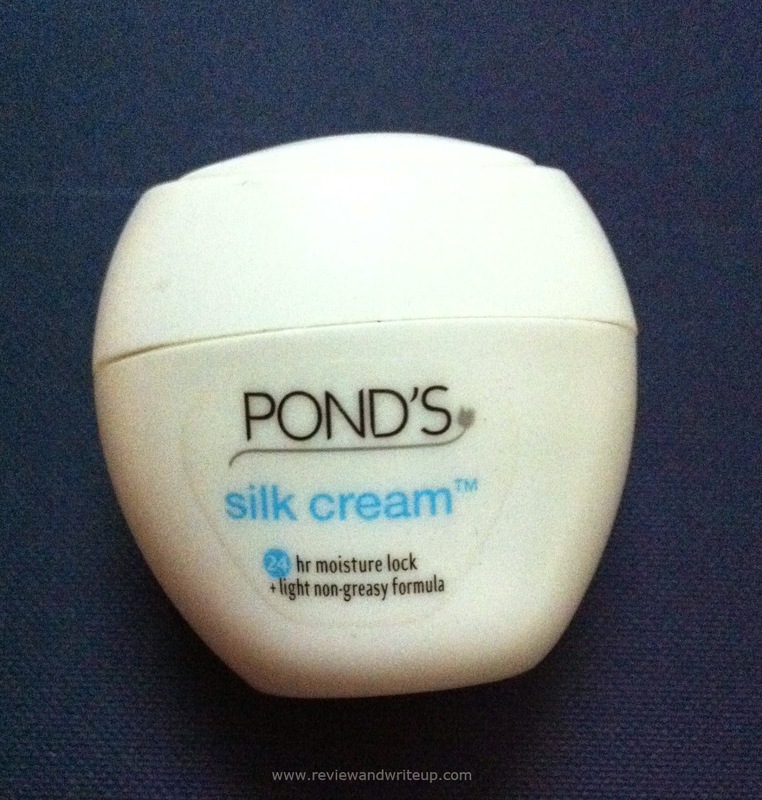 Today I am going to review Ponds Silk Cream. About the Product - Ponds Silk Cream is developed by Ponds under Unilever Brand. 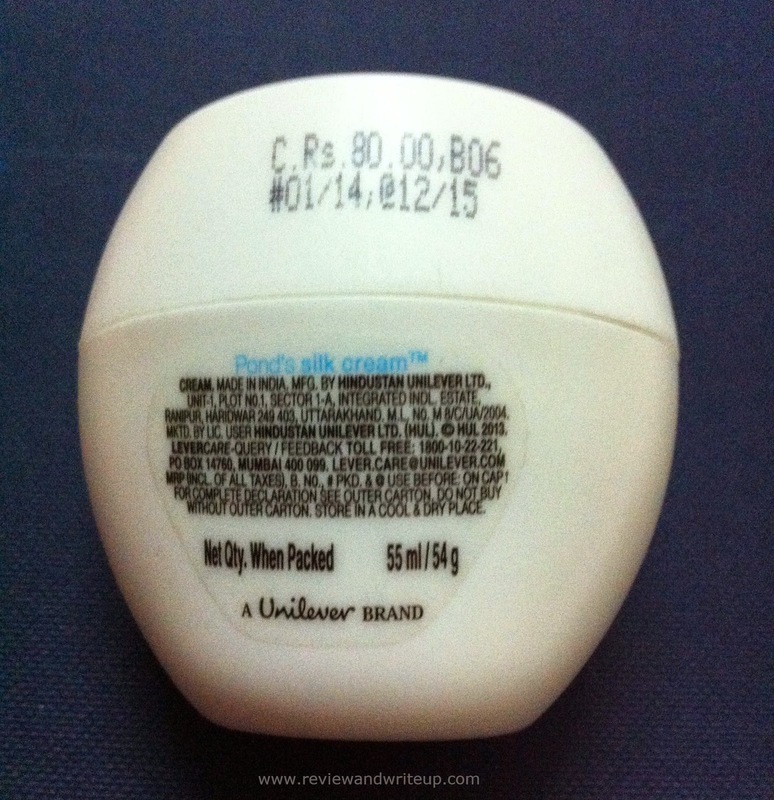 Packaging – The cream comes in a cute, oval shaped jar. It’s similar to jars of other Ponds cold creams, just with different color. Ponds standard color white remains as it is. Claims of the product – Ponds claims that silk cream locks moisture for 24 hours with its light non greasy formula. My Experience with the product – My mom introduced me to Ponds when I didn’t even learn how to speak. She still uses it. You will still find Ponds Cold cream in my home. When I was kid I use to save empty ponds jar to fill coins with it. I wanted to have a piggy bag from where I can withdraw money anytime I want without any hassle. I am still the same, haven’t changed much. Mine is oily skin and I prefer light skin cream. I was looking for one when I discovered Ponds Silk Cream. Cream has smooth texture. I agree with Ponds claims of it being non greasy. It definitely is. I have been using silk cream from last 40-50 days. The cream is of milky white color. I take just a little and mark dots. Then I apply cream in circular motions using two fingers and I am done. It blends very easily with the skin making it soft & supple. I use the cream as my night cream mostly and sometime during day as well when it’s a foggy day. I always leave my face little wet after washing my face with Everyuth. Then apply cream on my face. It has magical effects if you apply cream (any cream) like this. This way you can make any cream to keep your skin moisturized for long. This cream could be used by people with dry skin; just you have to use it little more than my skin types. My sister uses it and she has dry skin which gets really dry in winters. The cream does keeps skin hydrated for long. Not 24 hours, but yes for good 8-9 hours. I like its mild fragrance which lingers for some time on my fingers, face. It comes in various affordable packs and one can choose as per own convenience. R&W Recommendation – This is a wonderful product by Ponds. Those who trust brand Ponds and refrain from its usual cold cream, it’s a great option. It’s affordable and easily available.